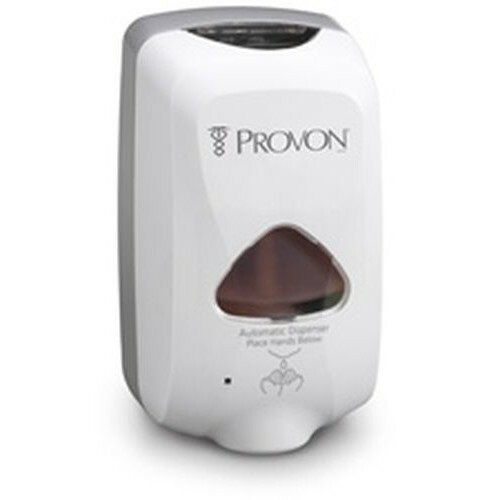 The Gojo PROVON TFX Dispenser is designed for hands-free dispensing of PROVON foam soap. It is designed for trouble-performance and is user friendly when it comes time to refill your soap. 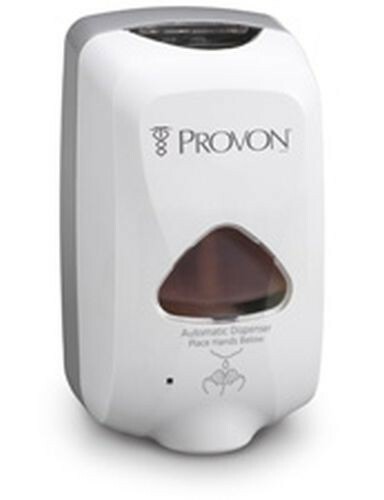 The PROVON 2745-12 Touch-Free Dispenser if fully FDA compliant and UL/CE registered. This dispenser features a small window that allows you to visibly check the refill level. It is large enough to hold up to 1200 mL of antibacterial foam soap. It is perfect for any healthcare facility that wants to give their patients and staff an automatic way to keep their hands germ free.